Spirulina is the richest nutrient and complete food source found in the world. It contains over 100 nutrients, more than any other plant, grain or herb. Today Spirulina is widely used as a food supplement to maintain health, boost energy and reduce weight. Spirulina contains 60-63 % protein, up to 13 % of essence minerals like Calcium, Magnesium, Potassium, Phosphorus, Iron, and Zinc as well as complete vitamin B groups and many important anti-oxidants (which protect cells). The anti-oxidant Phycocyanin can only be found in Spirulina. It is the richest natural source of Vitamin E and beta-carotene. Spirulina being naturally green is beneficial to our health as it contains a large amount of the chlorophyll and Phycocyanin. Chlorophyll absorbs the energy from sunlight to create carbohydrates to boost your energy through the day. Vegetarians can not eat animal products and commonly lack Vitamin 12 (from the animal liver), Iron (from red meat or spinach) and Amino Acids. Spirulina is a natural organic product and vegetarians taking Spirulina daily will fill these gaps. Amino Acids are important to our body. They assist muscle growth, immunity, and the production of enzymes and hormones. Spirulina can provide more than 60~63 percent of protein including a complete source of 8 essential amino acids, plus 10 other non-essential amino acids, which are commonly lacking in vegetarian diets. Spirulina is also one of the few sources of food that contains omega 3 and 6 fatty acids in the linolenin, gamma linolenin acid(GLA). These fatty acids are essential in keeping a woman's body healthy. Although Spirulina can not directly reduce your weight, it contains the nutrients our bodies need and is quickly assimilated. The ideal healthy human body's PH level should remain on low alkaline about PH 7.35~7.45. Modern day people indulge in too much acidic food like soft drinks, meat, cheese, eggs, and ham. These cause our body to become acidic ( PH< 7 ). 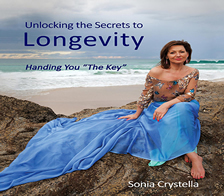 Many medical research reports have proven that acidic bodies will have more chance of getting diseases or cancer. Regular use of Spirulina can help keep your body alkaline will help you reduce this risk and is the ideal food supplement for the weight reducer. While women are pregnant, the baby in their body will rapidly absorb nutrients. If the pregnant mum does not get sufficient nutrients from food while her baby is growing, she will become depleted of these nutrients herself. Spirulina easily provides the richest and most complete source of nutrients for the pregnant women and thereby prevents nutrient deficiency after the baby is born. Most multi vitamin products are synthetic (artificial). No other products can provide natural nutrients and vitamins like Spirulina. 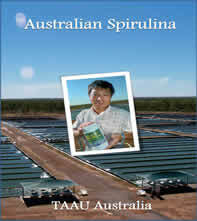 Spirulina is a totally natural non synthetic product.